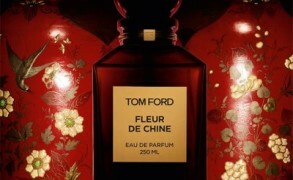 What perfume or fashion habits have you picked up from your mother or grandmother? “My grandmother will not leave the house without perfect hair and perfect makeup and her splash of perfume,” explained actress Natalie Portman about her “new mom” fashion style. Portman always seems to be well-put together and elegant. Her photos in fashion magazines usually appear in the best-dressed, rather than fashion disaster columns. Still, I liked the quote and the accompanying photos of the movie star in a trench coat and black pumps. As I was flipping through the pages of various fashion and movie star gossip magazines—a guilty weekend pleasure!—I kept thinking about Portman’s comment that as she grew older, and especially after she became a mother herself, she started to emulate the women in her life. This is something that I have noticed too. As I grow older, I become more like my mother. The endless worrying and the obsessive attention to details—thanks, Mom, I could have done without those personality traits. But the ability to make a holiday out of the most mundane and to face problems with an unbeatable optimism is a gift for which I will always be grateful to my mom. As far as fashion and perfume go, I definitely rely on my mom for inspiration. Some of the most complimented pieces in my wardrobe are the ones that my mom got for me. She is always beautifully perfumed, and this is something that many people notice. You might remember the story of her having a traffic ticket waived, because the police officer was so enthralled by her sillage of Serge Lutens Tubereuse Criminelle. Her trick is to spray the perfume once she is already dressed, so that a tiny bit ends up on her clothes, or if weather appropriate, her scarf. This way, her fragrant trail is distinctive, but never overwhelming. Image: Natalie Portman at the 2012 Dior photo shoot via zimbio.com, some rights reserved. Victoria: Hope that your mom had a great celebration. Best wishes to her! Victoria: Oh, I love the fact that you wear your mom’s clothes. It makes me regret that our nomadic lifestyle didn’t make it easier to preserve such things. My mom often sends me clothes or accessories that she would buy for herself, but I don’t really have anything old from her. Except for some jewelry, photos and books. Victoria: My mother didn’t wear perfume. Except for one and I can’t remember the name. It had gold flakes in it and came from Spain. that she never wore, but had it around. As far as fashion, my mother is very tacky. Caché is her favorite store. She dyes her lovely black hair blonde and tans on top of her already dark complexion. Her hot pink or orange lipstick always matches her nails. Victoria: V, was it L`Or de Torrente? Victoria: That sounds so good, I want to try it too! Mum also gave me the confidence to face the world with a naked face, giving me an extra few minutes sleep each day, which makes my naked face look better still. annemariec: My mother became an adult and got married in the 1950s but by the time I came along, the third child, there was not much money to spare. The 1950s continued to be the fashion era she admired the most, I think, and she had some quite conservative ideas about dress. Never wear blue and green together, never wear stripes and spots together, sparkly clothes and jewellery are for night time, not day time … abd so on. She would be outraged at my wearing jeans to work – in a public service job no less! Never mind how beautifully cut the jeans are! Victoria: My grandmother’s style is very much influenced by the 1950s, which to her was the most fun, the most prosperous decade. Also, in the USSR, the subsequent years saw more hardship–constant lines, basic things unavailable in stores. It is interesting to look through the cookbooks from the 1950s and then compare them with the same editions from the 1970s–most of the recipes would be simplified and pared down. annemariec: Both these comments remind me how lucky I was growing up in Australia. A treasured cookbook of my mother’s from the mid-1950s was limited only by the imaginations of its authors, not by availability of ingredients (the Australian taste in food was very dull until migration started to perk it up in the 70s and 80s). The 1950s and 60s were decades of great prosperity here. Victoria: Somehow as a child I don’t remember a lack of anything in particular, although the lines and constant shortages were common. Maybe, it was because we didn’t know what we were missing or that things could be different–the access abroad was blocked for most people until the 1980s. Andrea: I’m sorry to hear that your mom just had surgery! My 9-yr-old had an appendectomy this week, so I can relate. I’ll pray your mom heals well. As for my mom’s fragrance influence, I can never forget the lovely crystal L’Air du Temps with the birds on it. Lovely! And she also had Fracas, which I used to test when she wasn’t there. Her habit of caring for her skin with Lazlo products in the 1970-1980s is similar to my daily layers of facial products; it worked for her! Victoria: I’m thinking of your little one! Hope that the procedure went smoothly and your baby is on the way to good health once again. Undina: Victoria, I wish your mother a quick recovery! From my mother I’ve got my love to Diorella and Miss Dior. And my grandmother is “responsible” for my all times favorite Climat by Lancome. Undina: You know, I can’t believe I’ve never realized it was Climat! I saw that movie probably not less than twenty times. I remembered the dialog itself, the fact of the gift giving – and I stopped there. Today I finally fast-forwarded to that scene and actually saw that it was Climat. Though I must say I can barely remember this box (I think I saw it on my grandmother’s dresser) – “mine” is the later one, blue but without golden square yet.